So let me preface this by saying that we booked this trip at the end of the Summer 2017 for July 2018 with a group of around 30 other people. My youngest brother graduated from High School and this was graduation trip for him and a few of his friends and their families. Also I didn’t take a ton of photos of the resort itself so unfortunately I don’t have photos of everything, but believe me these couple are enough to get the gist! So we finally got to our rooms (my family had 3 rooms) and they were ABSOLUTELY DISGUSTING. I honestly was in shock. 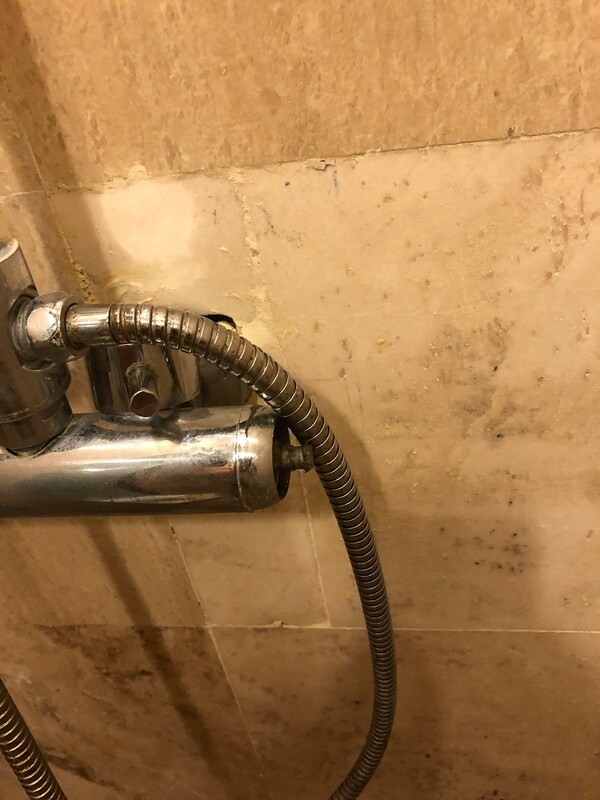 I’ve stayed in a LOT of hotels, from super high end to super low end, and these rooms were one of the worst (if not the worst) I’ve ever stayed in. 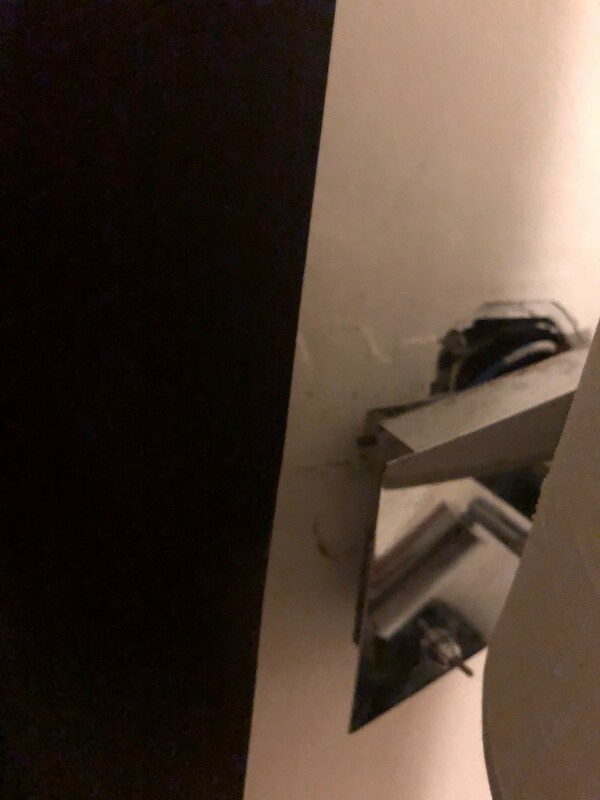 Our bathroom looked like it had never been cleaned, there was also a ton of patching in the bathroom, there was a light hanging off the wall, wires from the TV everywhere and outside our window was a construction site. In one of our other rooms there was a massive leak under the sink in the bathroom that was never take care of so the floor was wet the entire time we were in the room. Then in someone else’s room from our group the air conditioning broke and when they tried to call up to the front desk to get it fixed the phone didn’t work. The food was pretty bad and while I’m not expecting the most amazing food on at an all inclusive resort, this was way below par. Many people in our group got sick during our stay and one actually ended up being sick with stomach issues for almost a week after we got home. 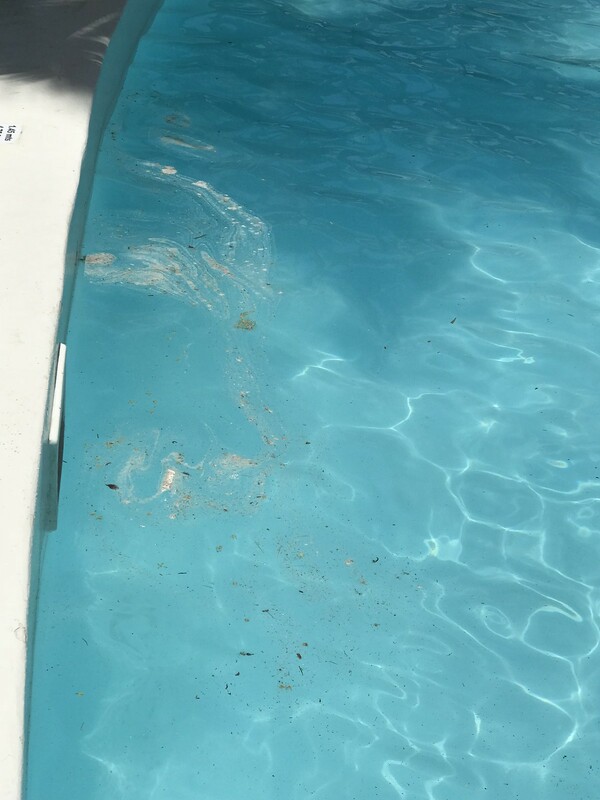 But the absolute worse part, even worse than the room, was the pool! 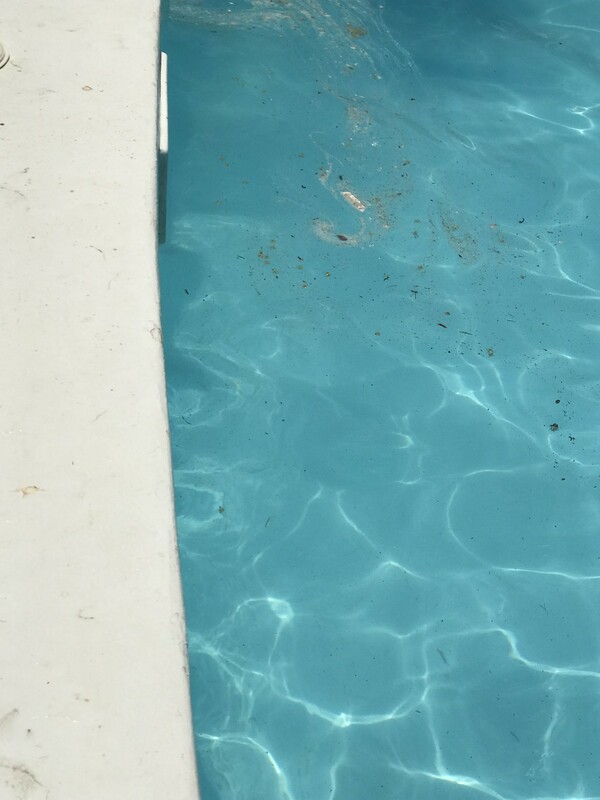 The water level of the pool didn’t reach the filter so the pool was filled with debris and who knows who else. 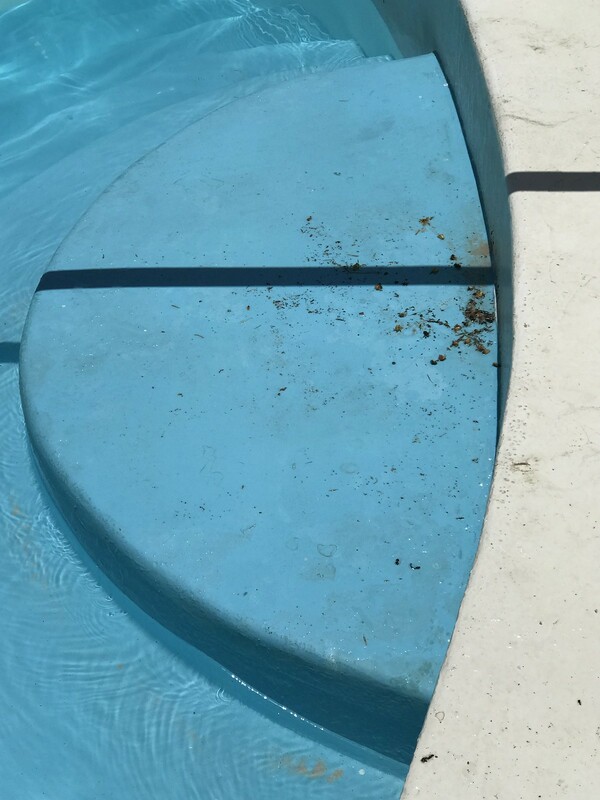 I honestly don’t even want to think about what could’ve been in the pool. Everyone was literally wiping hair off of them when they got out. Another thing that was extremely disappointing was the fact that we were not informed that almost the ENTIRE resort was under construction. There were construction workers everywhere and they were building a massive structure right next to the pool. I understand that resorts are constantly being updated and thats a good thing, but I think that guests should be informed of it. Also a huge area of the resort actually caught fire in January and was closed and we weren’t informed of that either. After 3 days we honestly couldn’t take it anymore and we wandered over to the Adults Only section of the resort and couldn’t believe the difference. 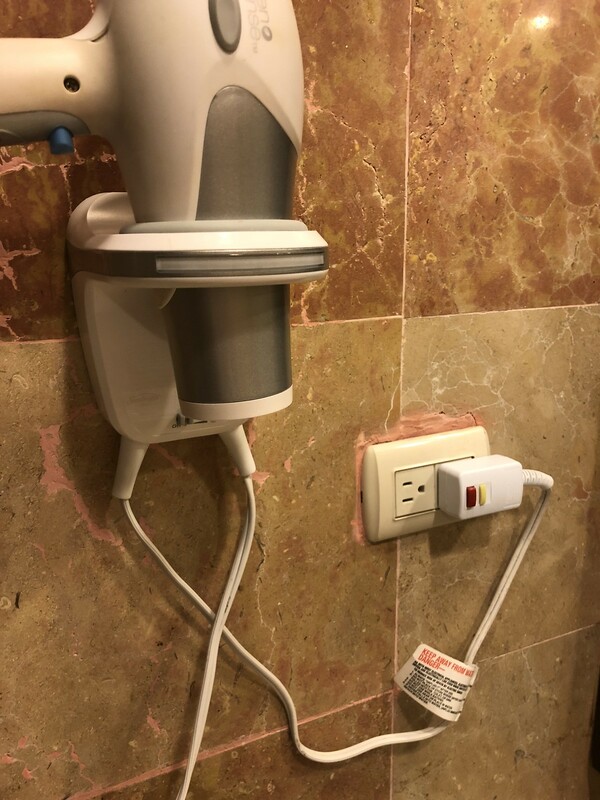 We upgraded (again) on the spot and literally never looked back and I didn’t step foot at the other side of the resort for the rest of the trip. I was even getting tons of messages from followers while on our trip saying how they had the same or similar experiences that I did. 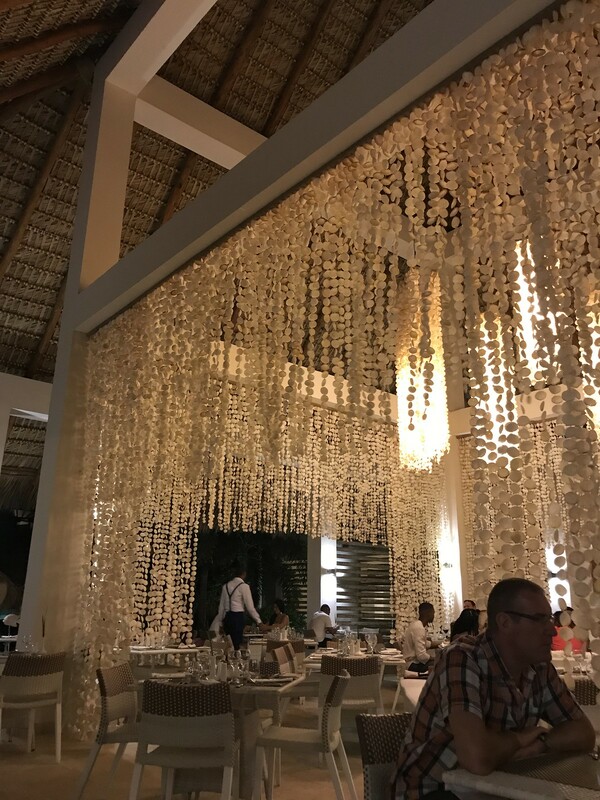 If you follow me on Instagram then you already know what resort we stayed at, but if you found me and this post through another avenue then Melia Caribe Tropical is where not to stay in Punta Cana, and The Level at Melia Caribe Tropical is the Adults Only area that we switched. 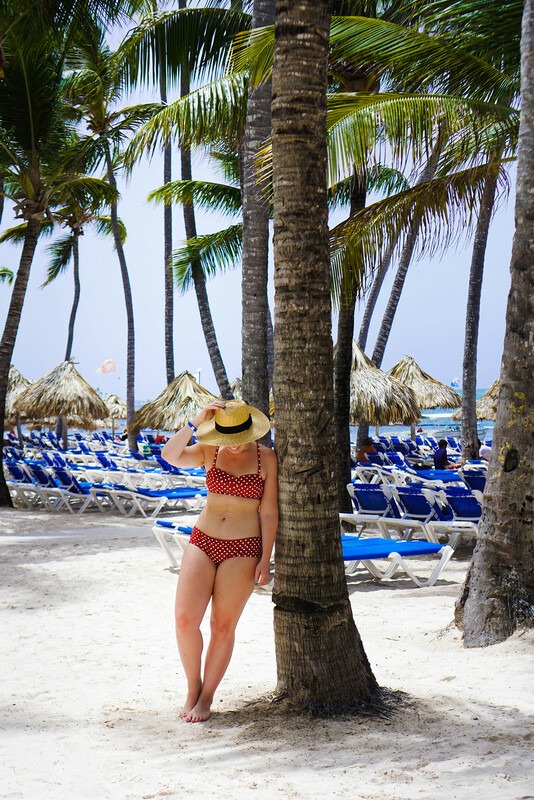 I know all the of the photos of our trip that I posted on Instagram didn’t necessarily convey the fact that we weren’t having the greatest time, but I’m not one to ruin a vacation and I always make the most of a trip and a bad situation, but maybe that’s why I thought it was so important to write this post. And if I would’ve read a post about “where not to stay in Punta Cana” before we booked out trip, we obviously wouldn’t have booked here. One thing I will say is that once we switched over the The Level we had an amazing time. 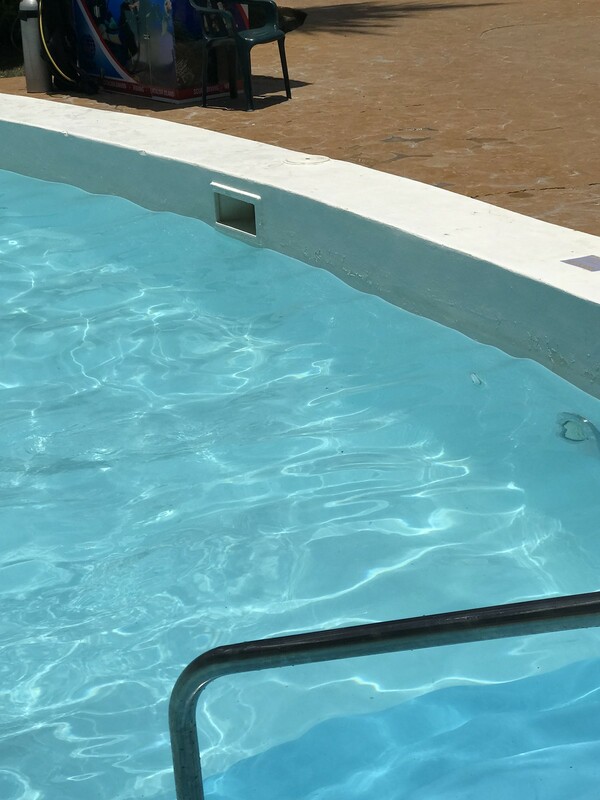 The room was significantly nicer, the restaurants were amazing, the service and staff couldn’t have been better and the pool was immaculate, but it was a shame that the entire resort wasn’t like that. 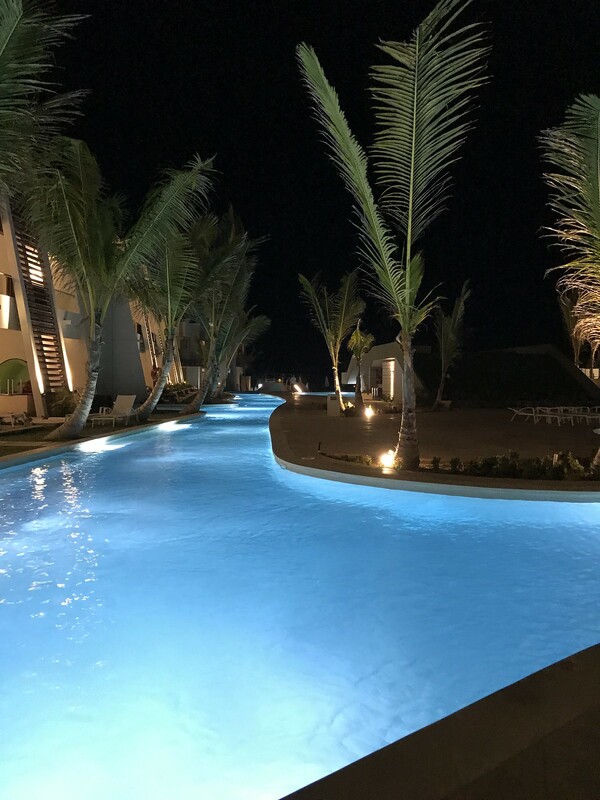 If you are planning a trip to Punta Cana I highly suggest staying at Now Onyx. I stayed there last April with my roommate and we had an amazing time. The resort is the perfect size, the staff was amazing, the food was great and our room was perfect! We stayed in a room with a swim up pool and it was SO perfect. Here are a few snaps from our trip last year so you can check it out. And if you have any other questions about it, please feel free to email me! 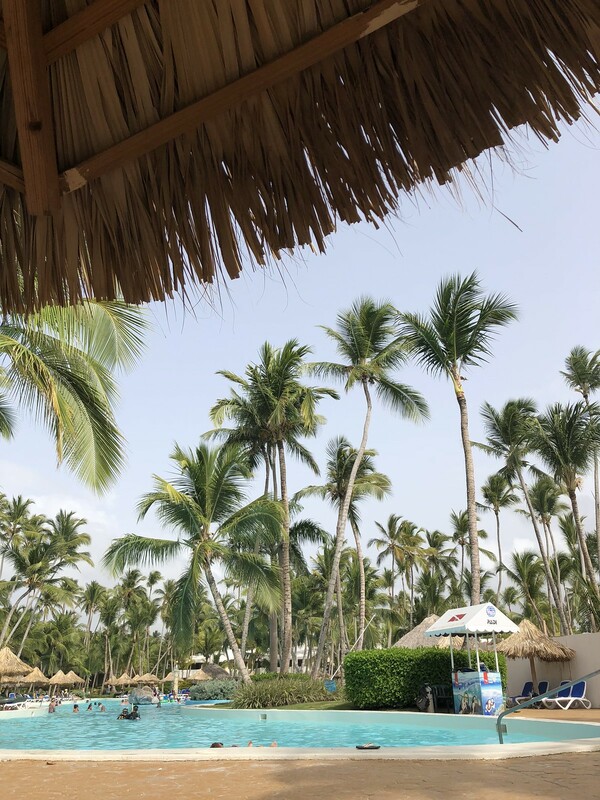 Many of my friends and family members have also stayed at the Hard Rock Punta Cana and had amazing trip so that’s another amazing option if you are planning a trip to Punta Cana! 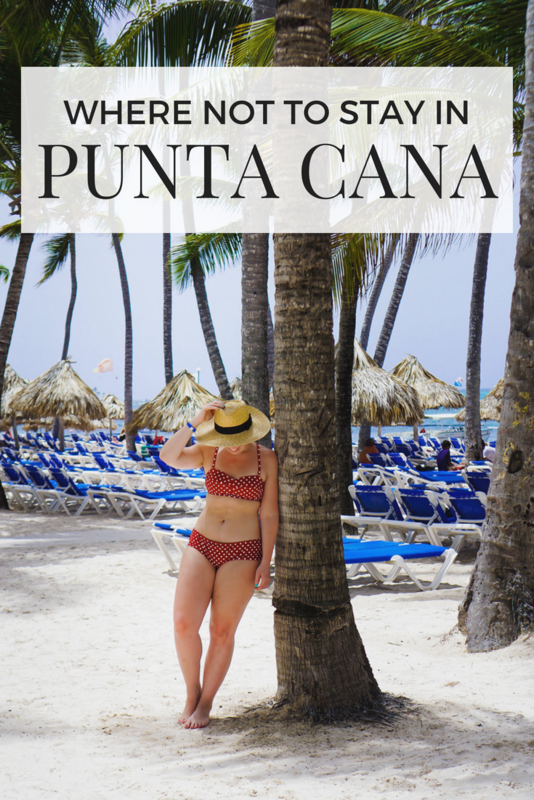 I honestly NEVER thought I would write a post about where not to stay in Punta Cana, or anywhere for that matter, but hey it happened and I hope this post can deter other people from staying there and having a bad vacation! What location did you stay at? 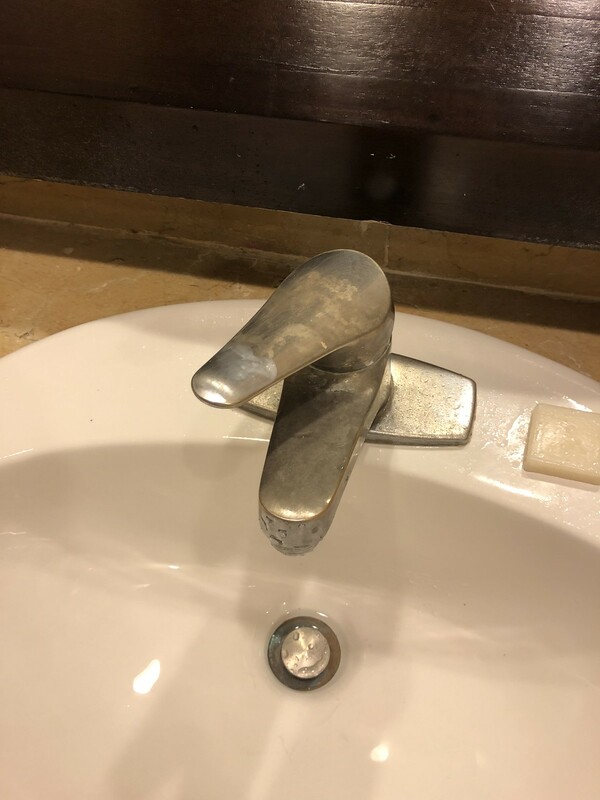 I’ve heard good things about other resorts they own, but this one was honestly just terrible. And sadly after I wrote about my experience hundreds of people responded on social media with the same thoughts. If you did stay at this one I’m glad to hear it made improvements.